Schematic design for an exhibit about vision quests and the ties between humans and animals. Visitors explore a “grove” to discover hidden scenes and displays within the trees. 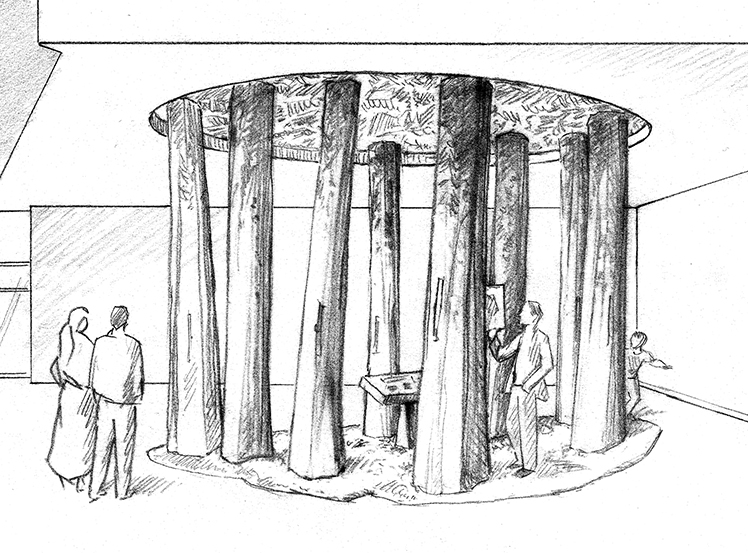 Part of a series of exhibitions planned for a new tribal resort. 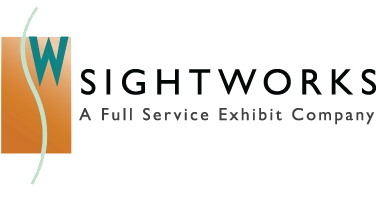 Sightworks collaborates with Native American communities, providing assistance in grant writing, project development, curation, design & fabrication for museums, visitor centers and exhibits. We work closely with each community to assure that the vision & voice of the tribe is powerfully expressed. We are accustomed to working with tribal councils & advisors and encourage the participation of tribal experts and artisans. 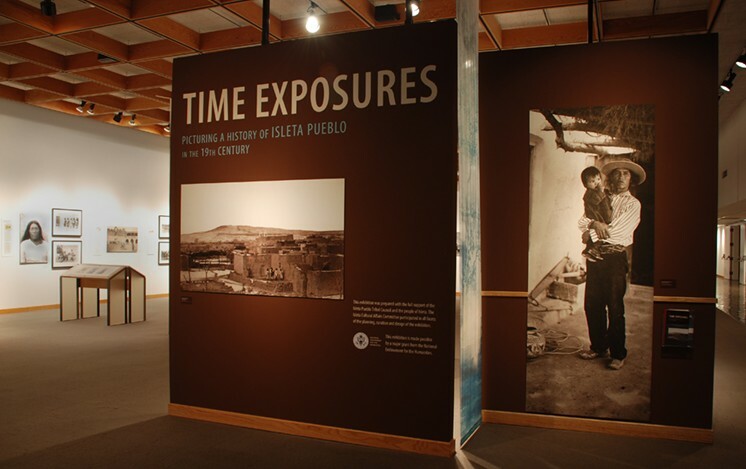 This exhibit tells the history of the Isleta Pueblo from the community’s own perspective. 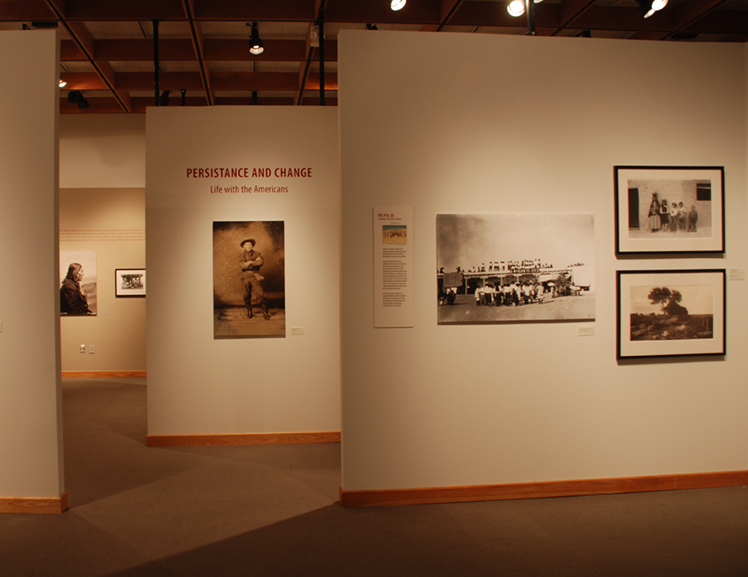 Sightworks worked over the course of two years with a committee of tribal elders to research and write exhibit text and select images and artifacts. 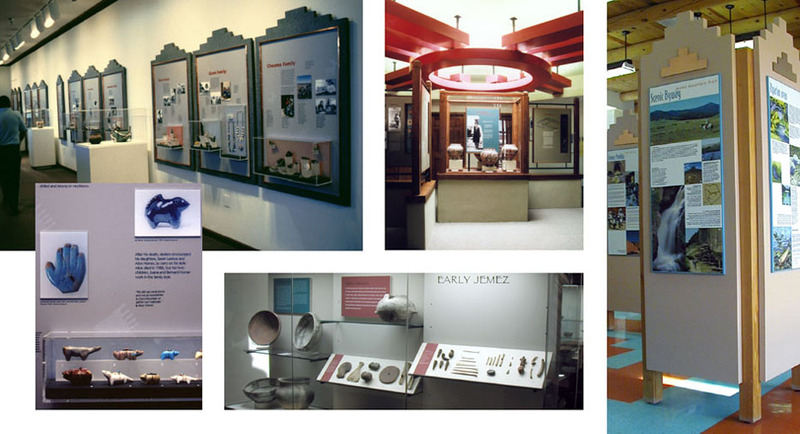 Nationally traveling exhibit promoting Zuni Pueblo arts (above left); Zia & Jemez Pueblo Visitor Centers (center); Jemez Pueblo tourist stop and tribal store (right).